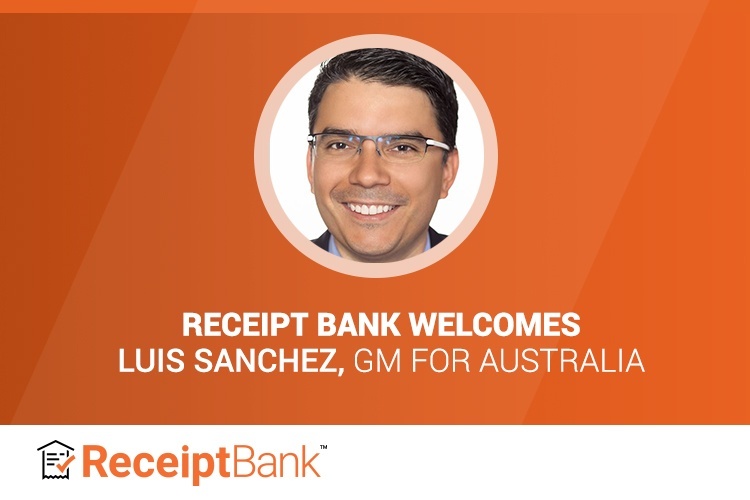 We are thrilled to announce that accounting industry veteran, Luis Sanchez, is joining Receipt Bank as General Manager for Australia. Luis brings over 20 years of global marketing experience to the team, most recently at Intuit. He will be working closely with the global leadership team to shape our strategy in Australia, scale operations and bring the benefits of real-time accounting to thousands more businesses. Operations in Australia have flourished in the past six years. Now, our aim is to continue this momentum and help thousands more firms grow. Luis started his career with several multinationals, and then moved his focus to accountants and bookkeepers. He spent six years with Intuit in America, doubling the size of their accounting business before joining Intuit Australia in 2016 as the Marketing Director. In 2 years, Luis tripled the Intuit Australia business from 53k customers to 161k customers. “Over the last 8 years, I’ve seen firsthand how the right tools can make or break a business. That’s why it’s been so inspiring to see how Receipt Bank have enabled accountants, bookkeepers and their clients focus on what matters. Thousands of firms can now spend more time helping their customers, instead of just dealing with paperwork,” Sanchez explains. Welcome Luis - and Australia, game on.